A KVM Switch is a switch device for the keyboard, video and mouse ports of computers allowing a user to control different or additional computers from their same keyboard, monitor and mouse. 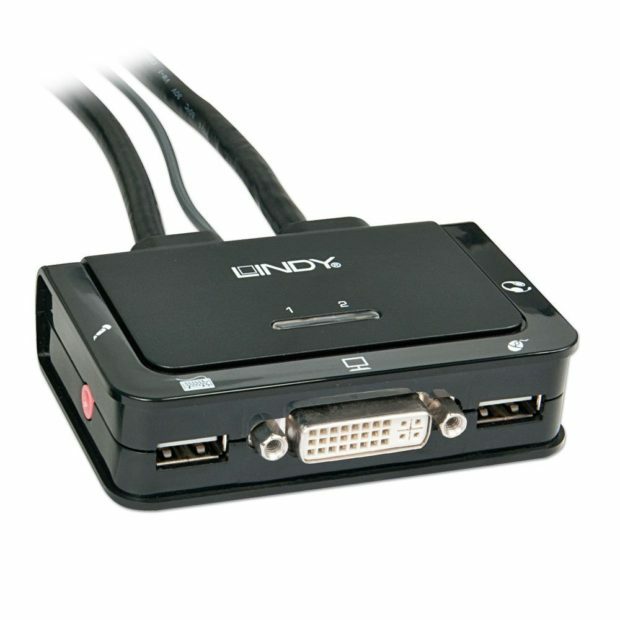 This switch offers DVI functionality and the ability to link two HD-enabled PCs or devices to a single USB keyboard, USB mouse, and HD display console. With a compact design and multi-platform support, this is a powerful switch for all of your event needs. To hire a visual distributor for your next event, contact ITR for more information.